For close to a decade now social media has been a force to reckon with in the world of advertising and marketing. Companies have devoted enormous resources in terms of time, staff, budget and more to crack that code of success in an ever-changing world online. Unfortunately, many dealerships have fallen prey to the fallacy that if they are strong on social media they have a mobile strategy. Just look at the mixture of social media icons on your own website and those of your competitors. Is it giving you an advantage when it comes to bringing business through the door? To dispel this social media myth we need to first admit the fact social media is not FREE. For years dealers relished the idea they could talk with passionate customers and not pay a dime to do this. Talking to 100s of dealers over the years I can’t count how many times I’ve been told “Why should I pay for an app or texting when I can do Facebook for free?”! But if they were completely honest with themselves they would know that the time required to maintain these social relationships is not free. But taking that aside, look deeper into the fact that to truly engage customers on a social media channel will require a financial investment. Social media giants like Facebook, Twitter and Instagram are constantly altering the way businesses can leverage their platforms to directly reach your own customers across these platforms. And to keep up with these changes you must invest in a company to handle this for your dealership and/or invest in the tools the social media channels allow you to use to advertise and connect with your customers. 94 percent of consumers who use Facebook, Twitter, and other social networking channels do so only to connect with family and friends. 62 percent of respondents said the influence of social media on their buying had no impact at all. In the retail industry 56 percent of shoppers base their purchasing decisions on in-store displays and that 7 percent base their decisions on social media content. Facebook publicly says on average a post on your page will reach about 16 percent of your customers organically. So having 5,000 “Fans” may get your message in front of 800 people. A study done by social analytics and reporting company Locowise goes even further proving that the more “Likes” your page has the less organic reach you will receive. Pages with over 50,000 fans can expect less than 10 percent reach. If that’s enough to satisfy your marketing goals then you’re doing just fine. But why would you choose that method over a strategic mobile plan where you could reach 100 percent of those 5,000 customers? Even a minimal investment in a mobile strategy that leverages your current customer relationship will garner so much more positive results than any social media strategy you will employ. An SMS database of your customers will be your most valuable asset. You can reach 100 percent of your customers within seconds. There’s no guessing or organic reach or algorithm to learn to prove this fact either. And the engagement is so much more timely and relevant for that customer. Take even your mobile application engagement, which on average will get you 50-80 percent of your customers with push notifications turned on, that’s significantly higher than any social media reach. 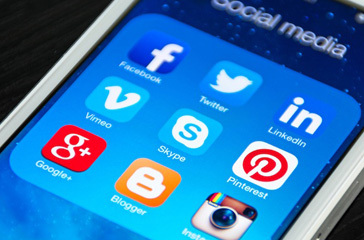 Finally, ask yourself how your dealership is positioned for the future of social media versus mobile. Are you willing to continue to follow the latest platforms and trends? How strong are you on Pinterest? SnapChat? Tumblr? LinkedIn? Vine? Head spinning yet? Why not invest that energy into a defined, proven strategy with mobile and improve your customer relationships where you know it will make a difference. Deploy a strategy you know you can control without having the social media rug pulled out from under you time after time.